Do you need a root canal to save your tooth? Are root canals painful? You don’t have to dread getting this procedure done. With the help of numbing medicine, you shouldn’t have any severe pain. You do have to take good care of your mouth after the treatment, and you may experience some post-procedure discomfort, but nothing that an over the counter pain reliever could not ease. You can take the worry and fear out of the equation by focusing on turning your oral health around. Once the affected tissue is removed by your endodontist, a dentist who specializes in the diagnosis, prevention and treatment of the dental pulp, you don’t have to worry about the pain and discomfort stemming from infected pulp or about the infection getting worse. You will likely be able keep your natural tooth for the rest of your life, pending injury or other dental issues. Damaged pulp is replaced by a rubber like material called gutta percha. Once the procedure is complete, usually after one or two appointments, you can see your dentist to have your tooth restored with a crown or filling. You will be able to resume your everyday oral habits, such as chewing, smiling, brushing and flossing. 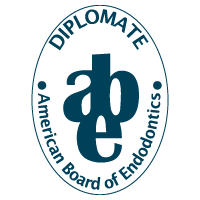 According to the American Association of Endodontists, most patients feel little to no pain while a root canal is being performed. Before the procedure is done, the tooth and surrounding area are numbed to prevent the sensation of pain. For a few days after the treatment, expect some pain and sensitivity. Your endodontist will recommend over-the-counter pain relievers like aspirin or ibuprofen, or he will give you a prescription pain medication to ease any temporary discomfort. Pain that doesn’t clear up after a few days or that returns months or even years after a treatment is not normal and could be a sign of a new infection. If this happens, let your dentist know right away. Are root canals painful? With local anesthesia, the actual procedure is not painful. Needing a root canal, however, can cause some discomfort. While the thought of having to get a root canal may put you on edge, the treatment itself is a solution to a problem. Once your tooth is treated, take excellent care of your smile with daily brushing and flossing and be sure to see your dentist regularly. Previous StoryDo You Need Emergency Dental Care? Next StoryRoot Canal vs. Extraction: Which Is Right For You?